Do you have plans to move to Canada from UAE? Well if you are firm on your decision and want to immigrate to the Charismatic Canada, then this is the high time to apply for the same. After the induction of the liberal government in Canada last year, several key changes have been made to existing immigration rules and policies. And most of such immigration rules have been changed keeping in mind the interest of the Canada immigration aspirants. Let’s find out the key reasons as to why this is the right time to apply for permanent residency in Canada. Why this is the high time to move to Canada from UAE? As already discussed, the new government in Canada is lenient towards immigration, which has ensured many relaxations for immigration applicants. Let’s explore the key reasons to apply for Canadian visa from UAE at now. QSWP is Open: The Quebec Skilled Workers Program (QSWP) is open from 1st June, 2016 to open the 5000 new applications under skilled worker category via Mon Projet Quebec. Express Entry System to be eased: The liberal government as per their recent announcement has declared that they will be easing the strict instructions of Express Entry and make it beneficial for Canadian businesses to invite more and more applicants. PNPs in waiting: There are various Provincial Nominee Programs (PNPs) in Canada are looking to meet their annual immigration target, and hence, will be inviting more and more candidates in their upcoming application intake in the year 2016. Relaxation in Immigration Rules: The new government in Canada has either eased or planning to ease several strict immigration rules for the immigration applicants, i.e. citizenship rule of minimum time spend in Canada, language proficiency requirement, express entry rules, etc. Skill Shortage in Canada: In view of skill shortage across various industries and provinces of Canada, it needs the quality skilled migrants, who can fill the skills gaps in Canada. Hence, if you have experience in occupation listed in NOC (National Occupational Classification) of Canada, you stand a great chance of getting selected for Canadian PR visa. Have you got your file prepared for Canadian PR in 2016? Well, if you are planning to immigration to Canada and get permanent residency, you have to get your file prepared fast to apply in all key immigration programs of Canada to boost your chances of securing visa. Visas Avenue Immigration is a leading immigration advisory company specialized in Canada immigration. You can contact the Visas Avenue immigration expert for vital help, assistance, and support for applying to online immigration programs, helping get essential certifications, applying for visa, documentation assistance, and following up of the visa application with immigration office, etc. Call the expert at Visas Avenue on contact nos. 011-48447777 (Delhi) or 080-46668222 (Bangalore). Alternatively you can send an email to info@visasavenue.com for prompt response from registered immigration experts at Visas Avenue. 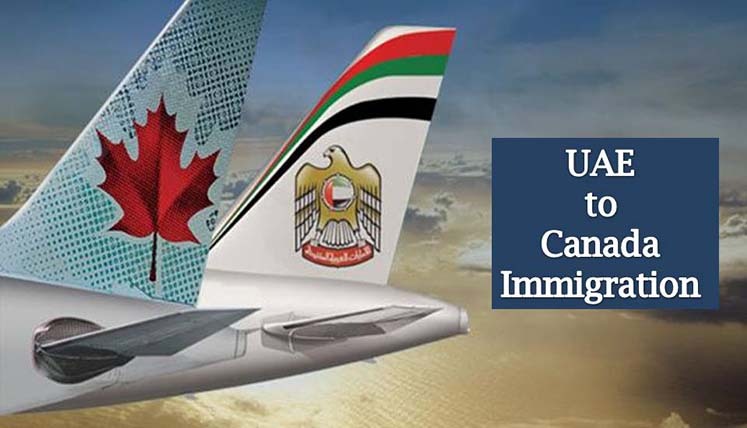 Why Should you immigrate to Canada from UAE? What is the process to move to Canada from UAE? Do you need an Immigration Consultant for it?